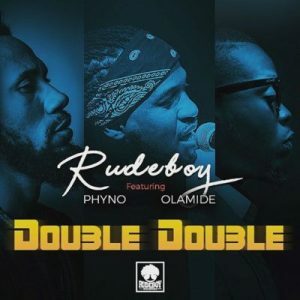 the song is cool .nice song from rude boy,rude boy go and make peace with ur brother if u want everything to be double double ,nice rap from phyno and olamide ,u guys should keep up more blessings and more life to u all . This one na fada fada part 2 oo. I love u,u are d best. U have killed it broz!!!!!!! rude boy I like this your latest music also support me to Blow like you,so that I will one of your son. if u give me love I no go let our home scatter. king Rudy is the best ever African musician. always there. King Rudy this jam na bomb. You are the best. Ndi Anambra adira agu jars. Nice one, keep it up guys. if i no get am na watin i gain. rudeboy if u no reconcile with ur brother na watin u gain? Nice song but Rudeboy please go and reconcile with your brother, i miss to see you people sing together. rude boy go and settle with ur brother If u want every thing to be double double,just imagine how dis song will if ur brother sing along with u but una try Sha!!!! i will like make mr.p dance for the video. King Rudy ,phyno and ola u guys murrrder. Too much love for OP records…. Rudeboy, I don’t know you…. You are still nothing to me without your brother…. I love dis song, but with your brother it will be better..